Planning an event can be stressful and not everyone is an expert! So to help all our lovely customers and followers we have put together some of our tips to help make the process that little bit easier. 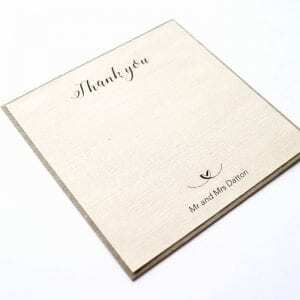 If you’re sending additional cards with your event invitations (such as time capsule or advice cards for a baby shower) make sure you weigh and measure the dimensions of the complete package. This way you can calculate exactly how many stamps you will require for each invitation. There is nothing worse than receiving all your invitations back in your mailbox a week later due to insufficient postage! 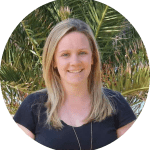 Oh, and a side note – make sure you put a return address in the case you’ve gotten a postal address incorrect, so that you know if an invitation didn’t make it to one of your guests! Have an uncle with terrible handwriting? 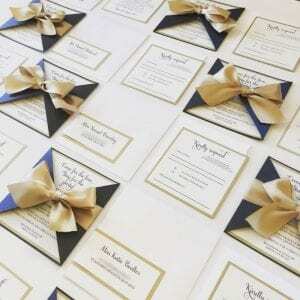 Never fear, simply place a small number on the bottom corner or reverse of your RSVP and keep a register. That way, no matter how woeful your guest’s handwriting, you can always work out who’s RSVPs you have (or haven’t) received! 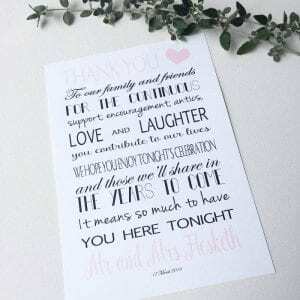 Alternatively you can choose to have your guests names printed with checkboxes against an “I can make it” or “I can’t make it” type of text. 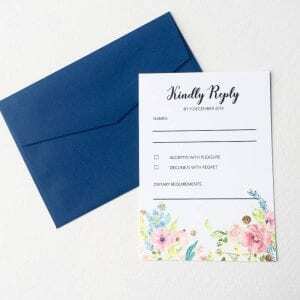 Guests then simply tick whether they’re attending or not and pop it in the post! Write and keep a to-do list and then break the tasks down and write them in your diary for the months leading up so that you don’t forget. There are a trillion various wedding checklists to download for free, which provide estimated timelines and example tasks. Be weary though as thinking you’re required to complete everything can quickly become overwhelming. We have a very handy Stationery checklist we can send you for free – just contact us and we’ll send it through. 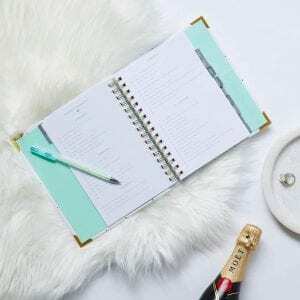 We also stock the ultimate Amelia Lane Wedding Planner so that you can keep track of all the tasks. Rome wasn’t built in a day! Use these ready made check lists and take the stress out of the mountain it feels like you’re climbing. Count carefully! 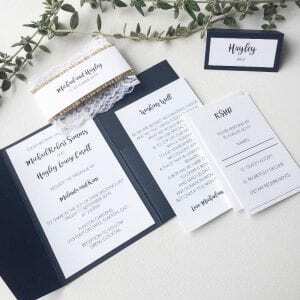 Count mailing addresses when ordering your invitations, not invited guests as many of your guests may be couples or families. If you have invited 80 guests you may only need 50 invitations. We also suggest you add an extra 5 or so invitations to account for any last minute additions! Proof read, proof read, proof read! Don’t discover a typo when it’s too late. Companies (including us!) will often ask you to proof and approve a digital version and to provide the list of guest names and addresses. Unfortunately, the error and associated financial cost is commonly something the customer has to wear. Make sure you check everything, or even ask a friend or relative to proof it as well.